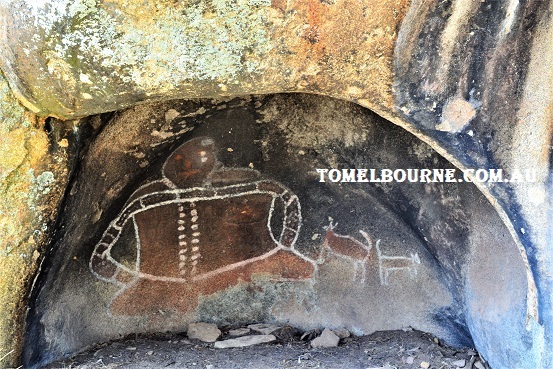 The only known rock art painting of Bunjil in Victoria is located at the Black Range Scenic Reserve near Stawell. This is not a site that attracts many visitors. There is a probably for a visitor to feel like Robinson Crusoe, being left alone in a wide expanse of uninhibited area. 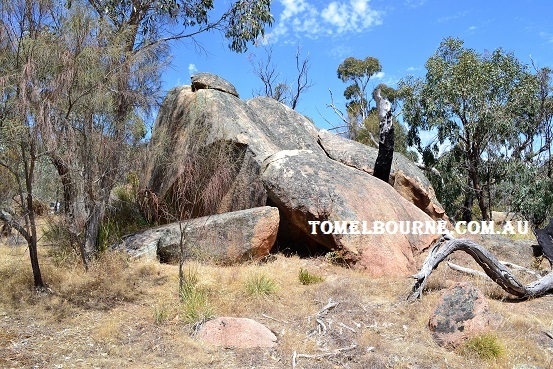 The site is regarded as one of the most significant aboriginal cultural sites in South Eastern Australia. 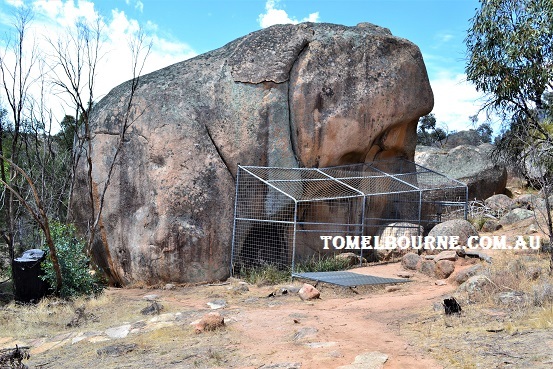 The rock art painting is located in a small shelter at the base of a large granite boulder. The painting is protected by a steel-mesh fence. In aboriginal mythology Bunjil is a creator deity and regarded as one of the two moiety ancestors. 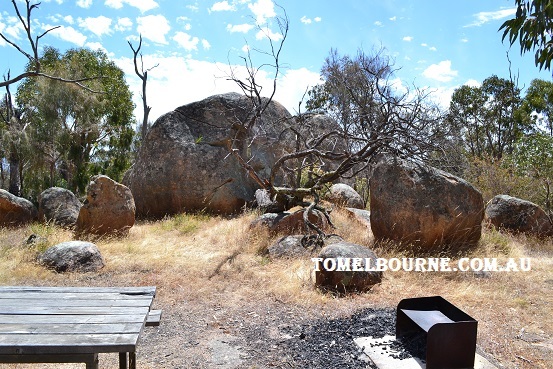 Bunjil is often depicted as a wedge-tailed eagle.It is believed that in the dream time, Bunjil took shelter in a cave located in the part of Gariwerd , which is now known as the Black Range Scenic Reserve. Bunjil Shelter came to public attention in 1957.